Having a major 90’s nostalgia? 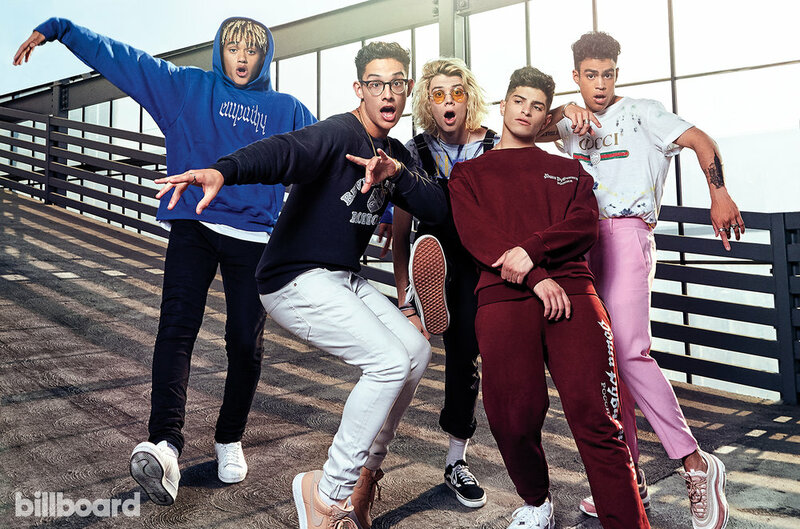 With their throwback pop and impressive dance routines, PRETTYMUCH might be exactly what you’re looking for. Meet the teen heartthrobs :Austin, Brandon, Edwin, Nick and Zion! They were introduced through social media on 2017, in which they shared a cappella covers ranging from Drake to Michael Jackson, dance routines they made all together, and parts of their everyday life and hobbies. They made their official debut with “Would You mind” on July 2017, reaching instantly the top ten on Spotify’s viral chart. In addition to their talent, their quirky and funny personalities made them gain a fervent fanbase always begging for more. Want to see more? Why not bring them to your city?